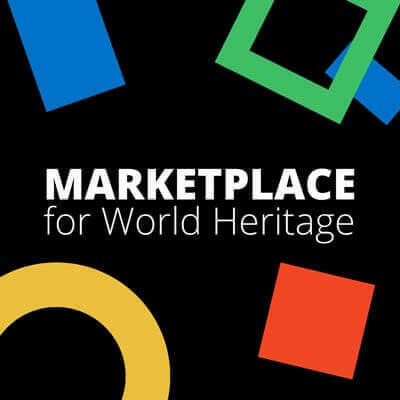 The World Heritage Volunteers (WHV) Initiative encourages young people to undertake concrete preservation activities in action camps organised by youth organisations and institutions in cooperation with multiple stakeholders and partners. The initiative mobilizes national and international volunteers through hands-on and awareness-raising activities for the conservation of our common cultural and natural heritage. Over the past ten years, the WHV Initiative has grown tremendously with increasing interest and appreciation for World Heritage protection, preservation and promotion. Up to now, the initiative implemented a total of 477 action camps at 130 sites in 57 countries, involving 95 organisations and 4780 volunteers. The World Heritage Volunteers Initiative provides an opportunity to get youth involved in World Heritage protection and preservation. It is a yearly Campaign, which involves youth organisations and institutions to carry out around 50 action camp projects in the five regions of the World. The action camp projects, which are selected from a call for projects launched by UNESCO, include hands-on and awareness raising activities. These action camp projects provide youth with knowledge; values; skills and capacity building on heritage conservation; and develop mutual understanding and networks among youth and educators. It also raises awareness amongst local communities about their heritage. The initiative complements formal education in teaching the skills that are required for the job market, such as leadership, teamwork, problem-solving, planning, management, creativity, communication and negotiation. It is also in relation with global priorities such as youth, Africa and least developed countries (LDCs). Increased number of youth sensitized to the importance of protecting, preserving and promoting cultural and natural heritage; and mobilized to participate in WHV activities. UNESCO is committed to empowering youth and ensuring that their voices are heard. The Organization is guided in this goal by an Operational Strategy on Youth (2014-2021). Through this project, we are encouraging the active participation of youth, and the integration of youth concerns and issues into the awareness-raising activities carried out under the World Heritage Education Programme. An estimated overall extrabudgetary funding of US$ 50,000 is needed for the implementation of a training workshop on capacity building for selected organisations as well as for coordination costs. UNESCO official social media channel, including Twitter, Youtube, Facebook, Wechat, Weibo etc.